Kolkata: Taking a cue from the white rose movement, the non-violent intellectual way of opposing the Nazi regime, Apne Aap World Wide joined hands with 14 other NGOs, colleges and universities from Kolkata to spread the message of love and peace. Like the rest of India, Kolkata too joined hands to condemn the Pulwana terror attack and the recent racial discrimination that the Kashmiri students, traders and tourists are facing across the country. The participants from the various universities, women right activists and members of various non governmental agencies assembled at the Kolkata Press Club on Saturday to launch the #Red Rose campaign to spread the message of peace and harmony. 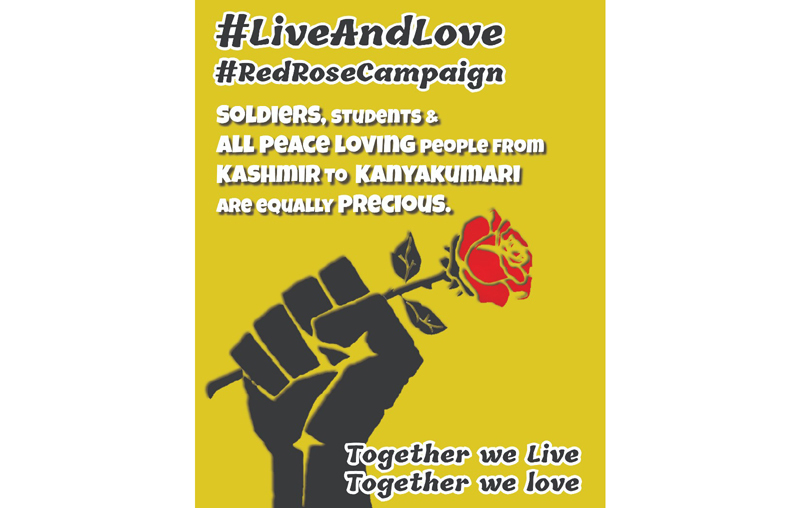 The campaign aims at gifting a red rose to someone who is from a different religion, caste, sexual orientation and region to pledge love and friendship. Talking to eNewsroom, Ayush Sarda of Ek Packet Umeed, “I was talking to Ruchira over the phone stating that the red rose is a symbol of love globally and at the same time it is a non-political symbol. So this is why ‘rose’ was selected,” said Sarda, the brain behind the campaign. 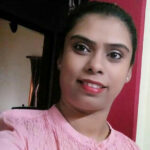 Student activist of Presidency University, Rimjhim Sinha who participated with her team, narrated, “A 17-year-old boy was handed over to police because of his comment about the current political disturbance. He said that he doesn’t support war and stood firm in his conviction. He didn’t give into the adverse situation. The boy was granted bail, later.” Economist and women right activist Saswati Ghosh, chairperson of West Bengal Commission for Protection of Child Rights Ananya Chakraborti, Reeta Chakravarty of Bangladesh Bharat Pakistan People’s Forum were present to support the campaign. Members of Syaam, Gender Bender, Know Your Neighbour, Yeh Mera India, students of Calcutta and Jadavpur Universities were also present at the occasion. Taking a cue from the white rose movement, the non-violent intellectual way of opposing the Nazi regime, Apne Aap World Wide joined hands with 14 other NGOs, colleges and universities from Kolkata to spread the message of love and peace.